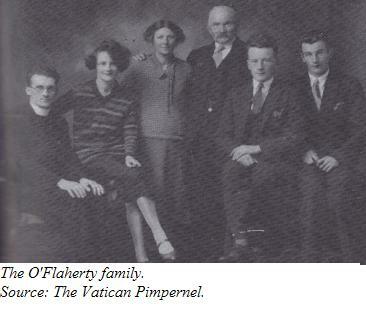 In 1934, O’Flaherty was appointed a Monsignor. 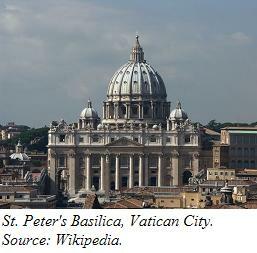 He traveled to Egypt as a secretary to one Msgr. Torquato Dini, a diplomat of the Catholic Church; but Dini died suddenly while in service. O’Flaherty had to take over—and in the process, discovered that he possessed an enormous talent for diplomacy. This fact was not lost on his superiors. For the next four years, O’Flaherty was sent on diplomatic missions to places as diverse as San Domingo and Haiti (where he was decorated by the presidents of both islands for his work on famine relief), and Czechoslovakia (where the nature of his assignment has never been made clear, although it’s likely it had something to do with the hostility that was beginning to be obvious all throughout Europe). His work in all these matters must have been exemplary, for in 1938 he was recalled to Rome and appointed to the Holy Office.